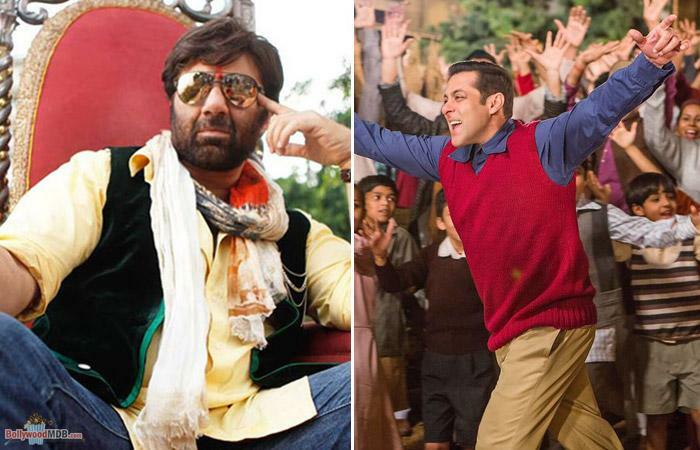 Sunny Deol’s Bhaiyyaji Superhit set for a clash with Salman Khan’s upcoming film Tubelight! It seems Bollywood will see yet another clash at the box-office! The latest update from the B-Town claims that Sunny Deol’s Bhaiyyaji Superhit set for a clash with Salman Khan’s much awaited film Tubelight! Bhaiyyaji Superhit has been delayed since quite long and the producer made the decision to release it during Eid. That means the clash is set to happen between the two films. While Kabir Khan’s Tubelight will witness a grand opening, producer Dariwal’s film Bhaiyyaji Superhit will open in around 2000 to 2500 screens. The producers are confident about their content and hence the decision. Bhaiyyaji Superhit stars Sunny Deol in double role alongside Ameesha Patel, Preity Zinta and Arshad Warsi. Tubelight stars superstar Salman Khan with Sohail Khan and Chinese actress Zhu Zhu. Salman Khan Films to launch seven new shows on television?